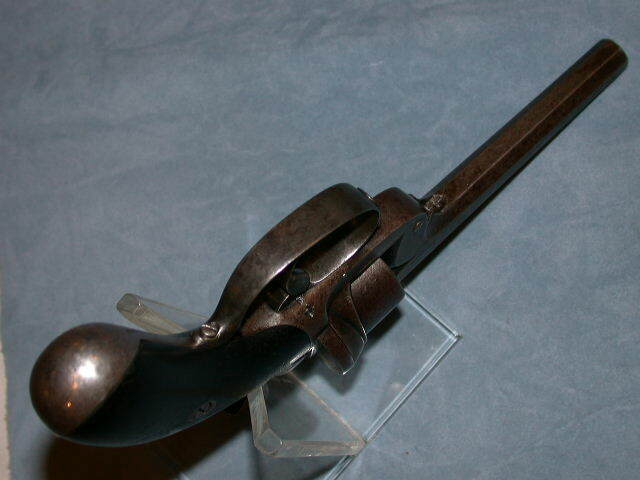 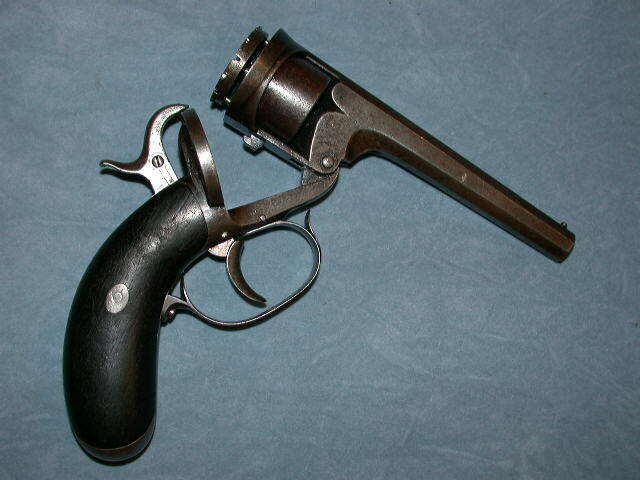 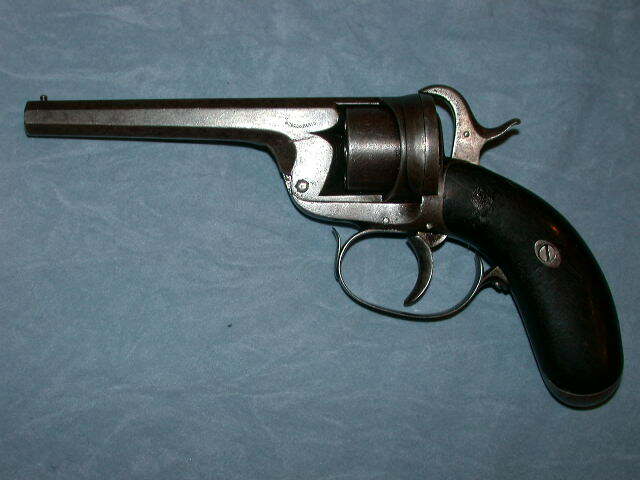 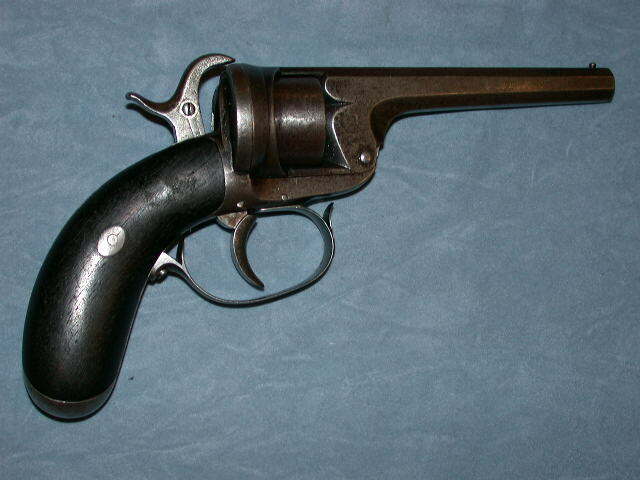 Pinfire Drivon-Ozonne revolver, according to patent 66991 of the 12-04-1865, six shots, calibre 7 mm, double action. 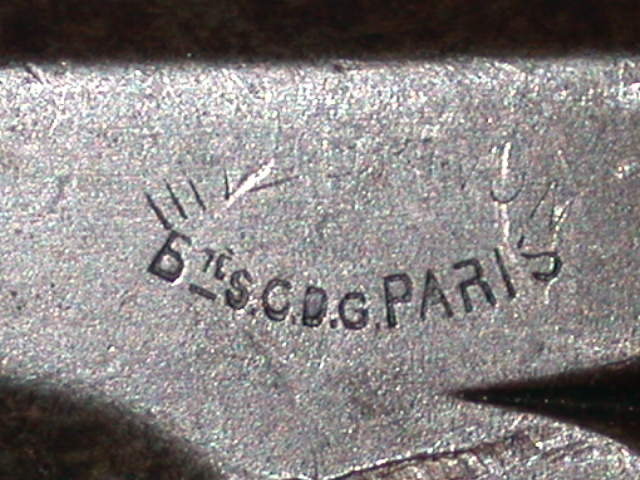 Barrel with sides, of 110 mm, marked on the left side “… Bte S.G.D.G.Paris”. 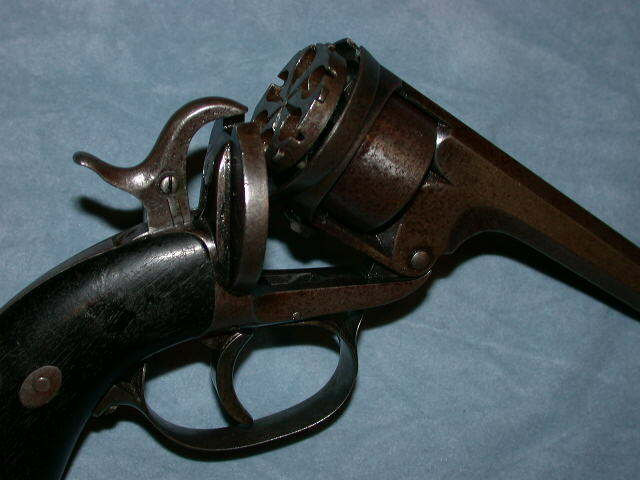 Cylinder with round extractor in plate. 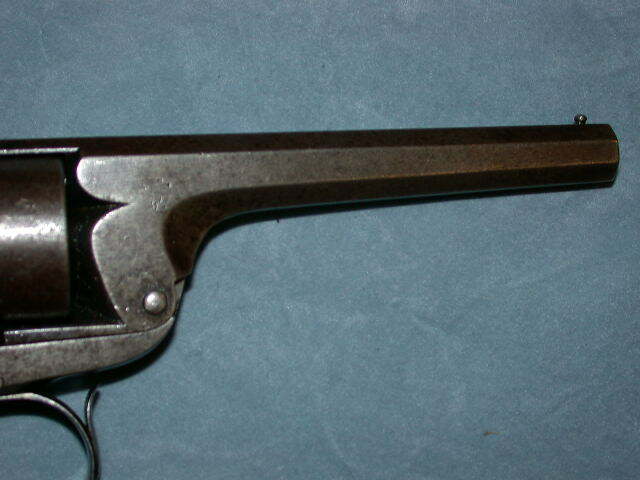 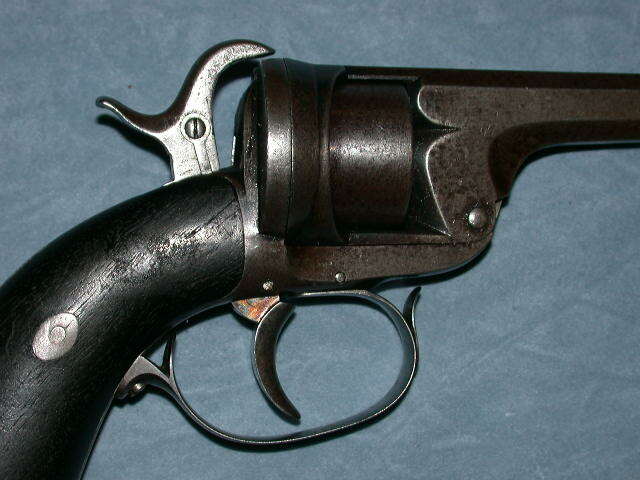 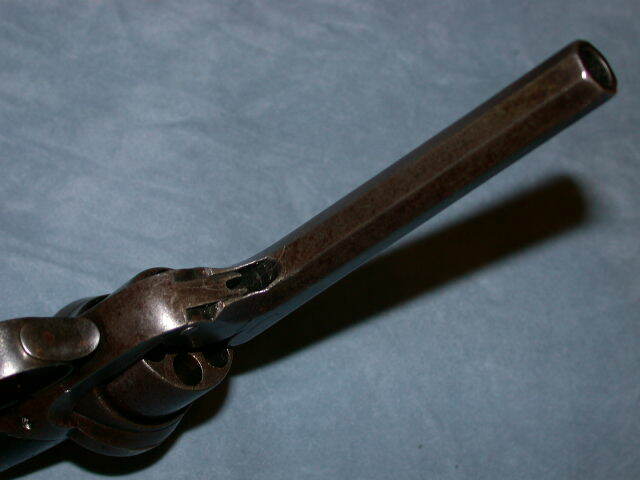 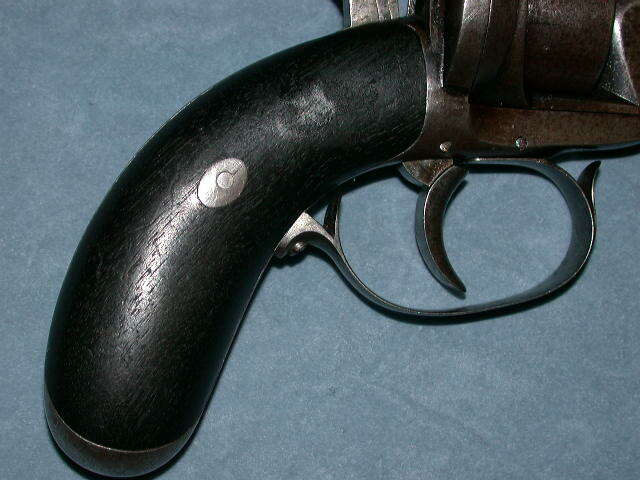 Trigger guard making hook of the locking of the barrel. 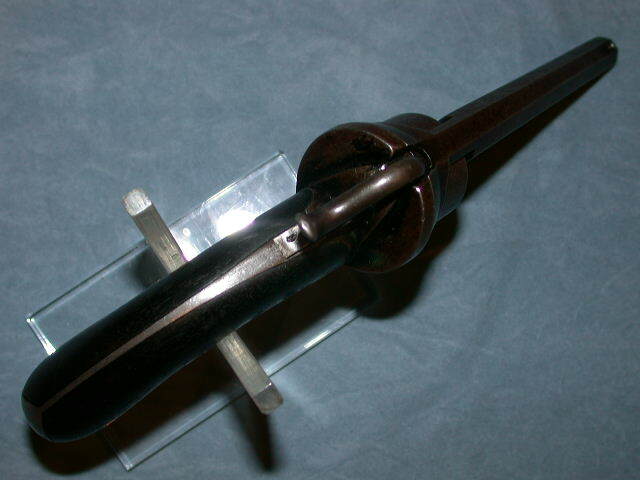 Many thanks to the "GALERIE REBOUL" for these nice pictures.